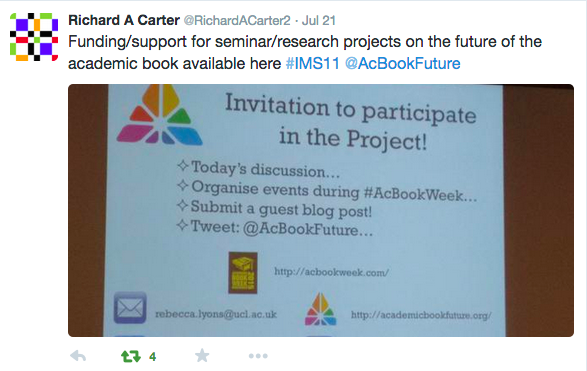 Posted on August 13, 2015 by academicbookfuture	in academia, careers and tagged Early Career Researchers, ECRs, publishing. Using Greg Semenza and Garret Sullivan, Jr.’s recent blog post on life-building in the Humanities as her point of departure, in this post Brigitte Shull (Head of Editorial and Author Services & Publisher, Literature at Palgrave Macmillan), switches to the other side of the coin: how to build a career in the Humanities and Social Sciences: starting with publishing your research. Early career researchers (ECRs) are under tremendous pressure to find a tenure-track job despite scarce resources, and they’re expected to publish, give papers, and teach a full course load (among many other things), right off the bat. As reinforced by the recent findings of a survey of over 200 ECRs after the Research Excellence Framework (REF), conducted by Charlotte Mathieson of the University of Warwick, the increasingly competitive job market is “focused solely on ‘REFable’ publications”. To quote Benjamin Bowman, a final-year PhD student at the University of Bath, in a recent article in the Times Higher Education Supplement: “When you are an early career researcher, one of the things you really have to do is get a publication or an understanding of the publishing process.” The importance of publishing for an academic career is undeniable in the rest of the world too. So where does this leave the ECR? How are they supported on the path to publication? Organisations and universities tend to favour grants, research support, and awards over true career development. Many of the bigger initiatives, such as the European Research Council, tend to be oriented towards scientific research. While beneficial for the ECR, no doubt, there still is a lacuna between the support of research and the jump to getting that research published. Resources about publishing exist, but very few of them come from publishers themselves. At conferences, I often find myself having conversations with ECRs who refer to advice they’ve received that is full of misinformation about the publishing process. A quick Google search looking for ECR information on publishers’ websites pulls up Elsevier’s robust site but very little comes up from humanities and social science publishers. Most academic conferences have publishing panels but the fact that these are so well attended further points to a real gap in practical and personal advice for junior scholars. I recently attended the Society for Scholarly Publishers’ annual meeting. In the panel “The Researcher’s New Big Picture,” one of the takeaways was that publishers need to be doing more to make researchers’ lives easier. At Palgrave Macmillan, we embrace transparency as the best approach for our authors and have set out to demystify the submission, peer review, revision, and publishing process as much as possible. To that end, we have created advice and content around the usual pain points including proposal writing dos and don’ts, a glossary of publishing terms, advice on revising their thesis to monograph, among other things. For the ECRs reading this, I hope that our new hub will be a valuable resource. I also hope that the hub will be a jumping off point and something we can continue to add tools to and fill gaps through collaboration. When we think about the academic book of the future or the author/researcher of the future, it’s important that publishers don’t forget that postdocs make up a rising percentage of academic researchers (a postdocalypse, as some call it!). If we’re really serious about making our authors’ lives easier, we should keep in mind what impact shifting demographics will have on the tools and services we offer. There is so much potential for publishers to support researchers in every stage of their career—from fostering interdisciplinary connections to demonstrating impact to helping new sub-fields get off the ground. I encourage everyone to keep the conversation going by commenting on this post, emailing me directly, or chatting with one of our editors at a conference. 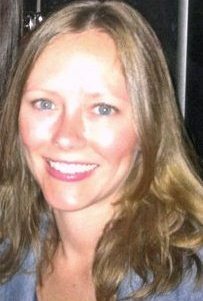 We look forward to collaborating!